A collection of material relating to Wolverton, Bletchley, Milton Keynes and Buckingham Rugby Union Football Clubs. 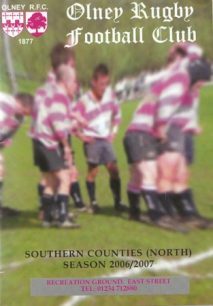 Including photographs of rugby teams, matches and socials; programmes from matches and events and correspondence. It also includes items of clothing such as shirts and ties and medals and trophies. 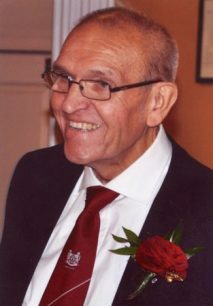 The aim of this project is to collect, archive and showcase over a hundred years’ history of the three major local Rugby Union clubs and their members. Bletchley RUFC, Milton Keynes RUFC and Olney RUFC. Milton Keynes as a host city for the England Rugby World Cup 2015, hosted three matches at Stadium:mk from the 1st to the 10th October 2015, this provided the impetus to undertake the work and a unique opportunity to capture the involvement in the lead-up, the events and activities surrounding the tournament. 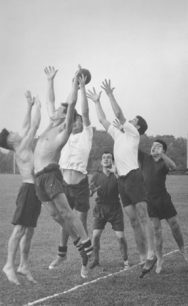 As a legacy, the project created a dedicated website to showcase the heritage of rugby in Milton Keynes, an online catalogue hosted on the Living Archive website, ten digital stories which will be shared on You Tube, a showcase exhibition and an illustrated history of rugby book. 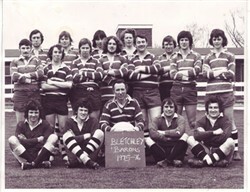 Collection of photographs relating to Milton Keynes Rugby Union Football Club (MKRUFC). They include matches, youth teams, Rugby 7s teams and social and formal occasions. A collection of material relating to Wolverton and Milton Keynes Rugby Union Football Clubs. Including photographs of rugby teams, matches and socials; programmes from matches and events and correspondence relating to the opening of the new ground and pavilion in 1974.